You know when you love something so much, and you just have to have it? Well that is just how I feel about antique cutting boards, except they are super hard to find. So what's a girl to do? I am sure you have already figured out the answer! DIY them of course! 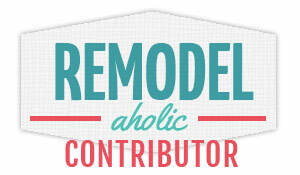 Today I am over at Remodelaholic with a super fun and EASY tutorial on how to make your own! Hop on over and check it out, you won't be sorry!! 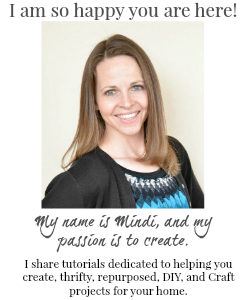 Great tutorial and results Mindi. Thanks for sharing your project. 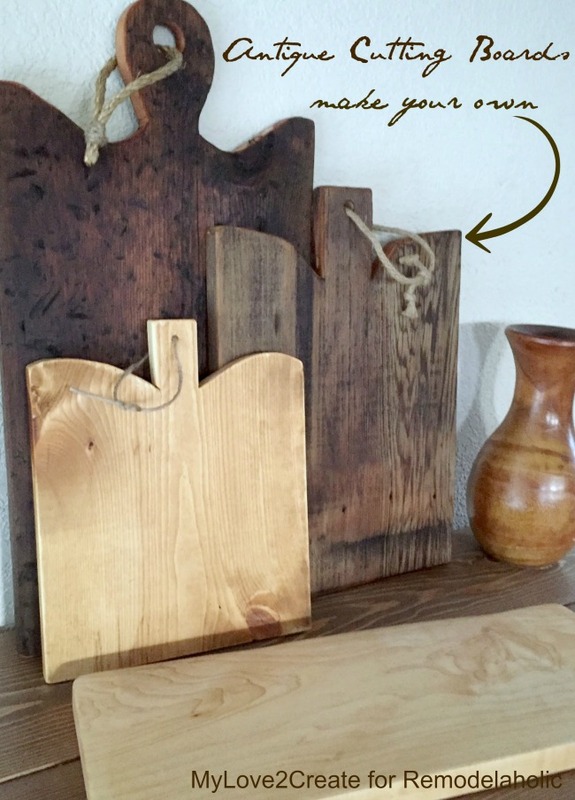 Love the antique cutting boards! The dark one is my favorite. Thanks for sharing your tutorial. I'm going to have to try your wood aging technique with the spray paint. Haven't seen that technique before. Love these--I have wanting to make some! Thanks for sharing at the Talk of the Town link party. LOVE, LOVE, LOVE! I need to make some of these! These are stunning, just adore the shapes! Featured you on Party Junk this weekend. Thank you for linking up!